They have been working behind the scenes for years. Humanity has been asleep for 13,000 years. When asleep we are on the space ship. Assist others through love, compassion and service. Awakening is letting go of all programming and conditioning and living in the present condition of now in service to love. The choice is love or fear. The whole planet needs to be awakened by 12.21.12. Planet Earth takes her place in the Universe on 12.21.2012. She has been out of her place for 19 billion years as the center of her Universe. This is a huge event. Humanity is here for the ride. Make a simple request that you would like them to show themselves to you. Everyone came through the Pleiadian star system to come here. We have 12 million ground crew members right now. Mother Earth called out after bomb was dropped in ’45. Humanity put out the prayer for help to get out of the illusion. The best thing to do is to awaken and remember that we are love! Awakening is peeling off layers of programming. Whatever doesn’t bring you joy is not real. Everyone has a group of angels around them and assisting them. Just thank them for helping you with various things. Real love is when you love yourself FIRST…then you fall in love with creation and everyone else. The original error was not giving love unconditionally. Discussed decrees daily. I AM Love, I AM Joy, I AM Truth really changes your frequency. Focused breathing also assists your frequency. Everyone is moving into the present moment of now as one into the galactic center. We will begin to experience miracles and grander joy. 13,000 years ago a group of beings found this planet when humanity in primitive state and convinced humanity that they were their gods. They disconnected the left and right brain connection. The right brain is connected to the Divine. These were the Annunaki and Illuminati. Illuminati surrendered in the 90’s to the Light. Their minions were left on the planet and who we have been dealing with, behind the scenes putting humanity into slavery. We are at a Divine Timeline because we have a lot to accomplish before 12.21. We will then enter a transition government to help and reeducate of what is true. 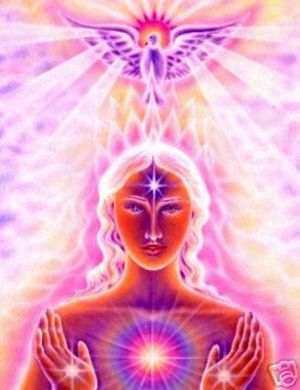 We have light vessels to help bring body hologram back into balance and harmonics. We have reached critical mass of awakening…we have at least 51% ready for this. There are Light workers and Beings around the planet to assist the other 49% to help them stay calm. These are the greatest moments in the history of this planet! Speaks of decloaking her craft soon. Will be bringing everyone out of pain and suffering. Discusses replicators, using your thoughts to create food, shelter (building a house in 24 hours) in order to bring everyone into equality. Discussed cabal’s rejection of surrender and how we are going to have to do it ourselves. NextMorning Blessing: 06.25.12 Recovery Time.